An outbreak of Rabbit Viral Haemorrhagic Disease type 2 (RVHD2) is currently sweeping the UK and Ireland. The virus is deadly to rabbits both in the wild and at home and kills in just 24 hours. There are usually no symptoms, and when rabbits finally show signs of the disease it is often too late. Vets have warned not enough rabbits in the UK have been properly vaccinated, and are urging owners to take action. People can prevent the disease with vaccination. Rabbits need at least one annual injection to prevent infection. Rabbit Awareness Week (RAW) estimates 15 percent of Britain’s rabbits are protected. Figures from RAW have revealed only 137,405 vaccinations have been distributed in the past year. PDSA Vet Nurse Kristiana Shirley revealed exactly why people have been hesitant to vaccinate their rabbits. She said: “Vaccinations are absolutely essential to protect rabbits against devastating diseases. “Findings from our 2018 PDSA Animal Wellbeing (PAW) Report revealed that the main reasons rabbit owners didn’t vaccinate their rabbits were that their bunnies didn’t come into contact with other animals; they don’t think it’s necessary or that it’s too expensive. “We want to spread the message that all unvaccinated bunnies are at risk from diseases like RVHD-2, even if their rabbit doesn’t come into contact with other animals or wildlife. “Infections can be carried on owners’ shoes or clothes, with other pets, and even via insects. Luckily a simple vaccination can keep your rabbits safe. Caroline Allen, London Veterinary Director at the RSPCA said RVHD2 is not the only threat, and rabbits are dying from a number of preventable diseases. "As well as providing vital protection against killer diseases when you visit your vet for a vaccination, it's a great opportunity for your rabbits to have a 'health MOT'. 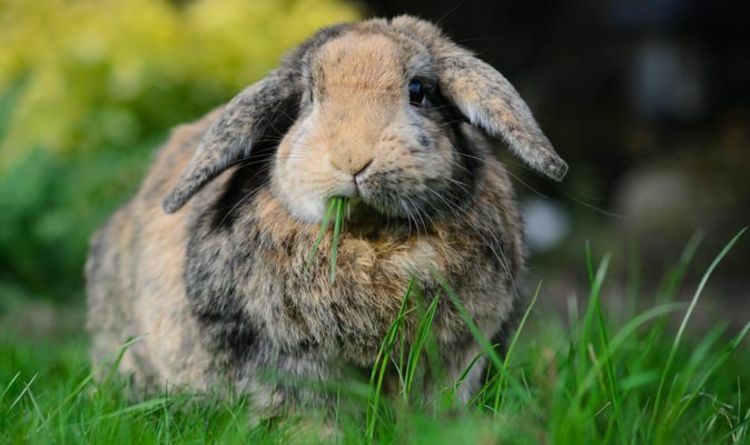 “Sadly, far too many rabbits are still dying from totally preventable diseases and regular vaccinations and health checks are a vital part of keeping your rabbits healthy and safe. “If anyone is thinking about getting rabbits we would encourage them to consider giving a second chance to a pair of our rescue rabbits. “RSPCA rabbits are neutered, microchipped and have received their vaccinations. “Not only is it a great way of giving an animal in need a new home but ensures your new rabbit have received essential preventative health care."